in this field of mindfulness. I found this Institute for you as a Safe Island. 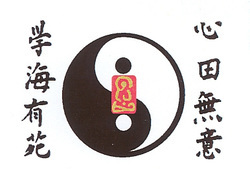 The Hsin-I Tai Chi ( Taiji ) Institute is founded by Master Tek Siaw in order to preserve the spirit of the Internal Martial Arts. We offer individual and group classes for all levels in Taijiquan (Tai Chi Chuan) and Qigong. A full curriculum of courses and workshops that includes the essential philosophies of the Internal Martial Arts is available to participants at our studios in Victoria, BC, Canada and Singapore.